If your dish is freestanding, measure the distance from the top of the dish to the ground. Is the distance you measured more than 8m? If no, you don't need a Building Permit. 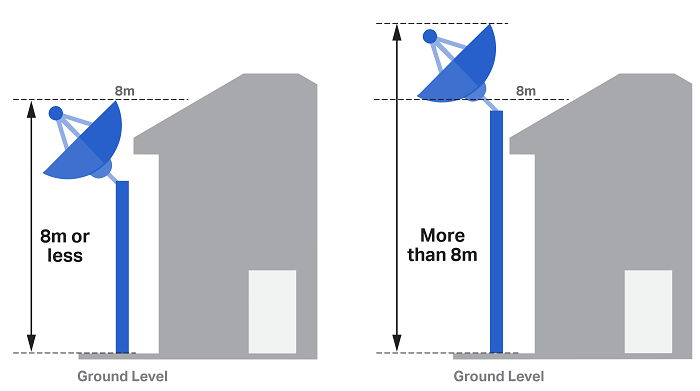 As long as there are no Planning Permit restrictions, you can proceed to install the dish. You can now exit this guide.